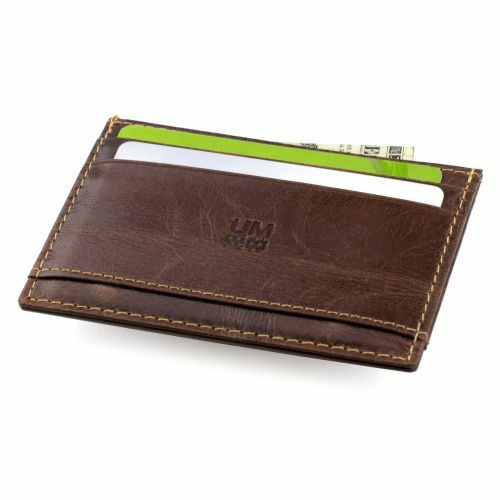 Genuine leather (variations in color and texture can occur due to the nature of leather). 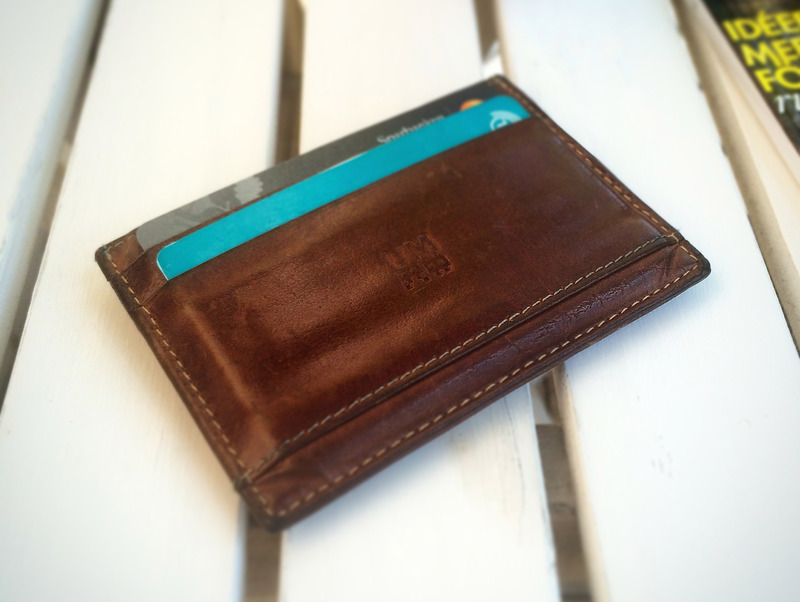 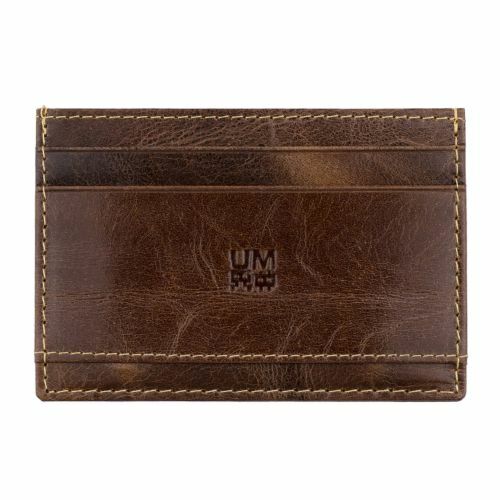 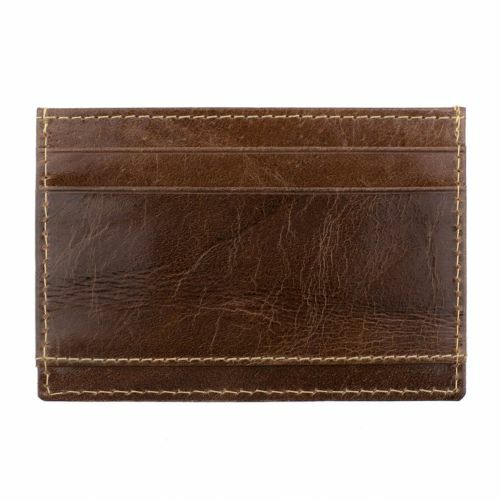 If you're looking for a classic card case in leather, this should be your final destination. 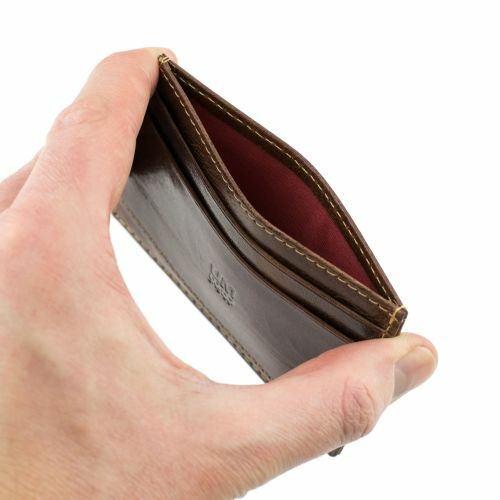 The Chocolate Stripes card case fits a good amount of cards, yet still in a very small size. 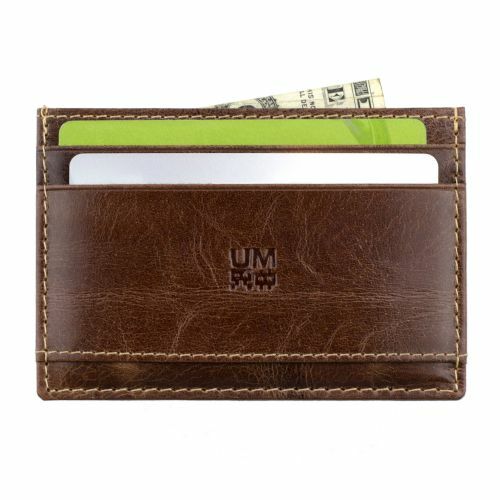 It's a classical cut and color, but with the details you want from an Ulterior Motive card case.